To accommodate changing instructional needs, Bishop Noll Institute moved into a new direction when replacing its dean of students position. 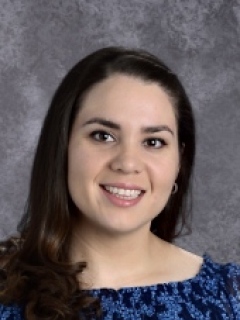 Seeking the guidance of a current teacher to make sure administration tasks were done with student needs in minds, Jessica Omelanczuk, who previously taught Spanish at the school, now also serves as the assistant principal. Noll principal Lorenza Jara Pastrick said the role of principal has changed over the years and this new position better suits the instructional aspects of Bishop Noll’s administration. A Marian Catholic High School alumna, Omelanczuk has a master’s degree in teaching and is working toward her administrator’s license through Indiana State University in Terre Haute, Ind. She took three classes over the summer and is working on her internship and commuting to the college once a month. She said her friends and family members encouraged her to continue pursuing administration because they thought it would be a good fit for her. In addition to her new job, Omelanczuk also loves continuing to teach Dual Credit Spanish 3 and 4 classes.